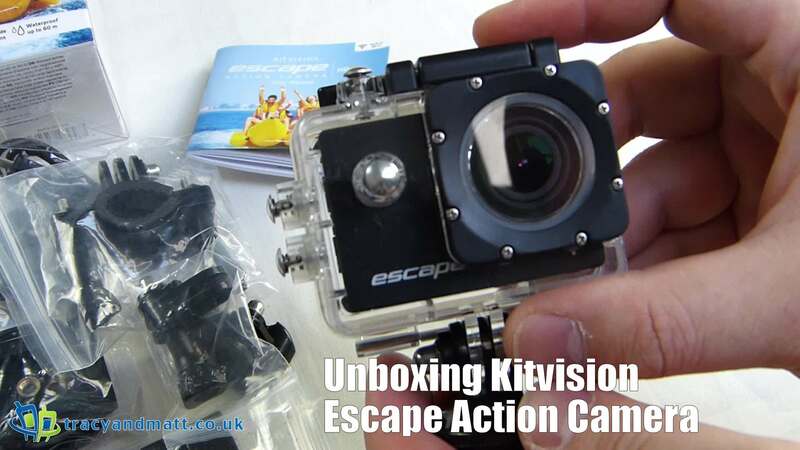 The Kitvision Escape Action camera is a cheap GoPro alternative. Costing as little as £35 on some websites the Escape is more than capable of capturing the action with little to worry the user if it were to be lost or broken. In addition to the camera Kitvision also includes several useful add-ons to make mounting the camera easier. Included are a Bicycle mount, Helmet mount, Adhesive mounts, Tripod adaptors and Camera adaptors.